In response to the events following September 11, a number of leading cultural studies and interpretive qualitative researchers write from their own experiences and hearts. 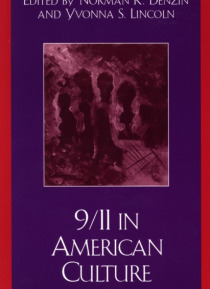 Their essays-by noted scholars Kellner, Fine, McLaren, Richardson, Denzin, Giroux and others-are collected in this volume, and were written in crisis within days and weeks of September 11. The immediacy of their writing is refr… eshing, and reflects the varied emotional and critical responses that bring meaning to this cataclysmal event. From the poetic to the personal, the theoretical to the historical, these contributions represent intelligent and reflective responses to crises like 9/11. This unique collection of essays represents a selfless act of sharing by poets and professors who tell us how they made sense of these tragic events, and predicts what the place of the humanities and the social sciences might hold in an age of terror. Lachrymal and elegiac, their words will stay with us for years to come. The articles were originally published in the journals Qualitative Inquiry and Cultural Studies/Critical Methodologies.